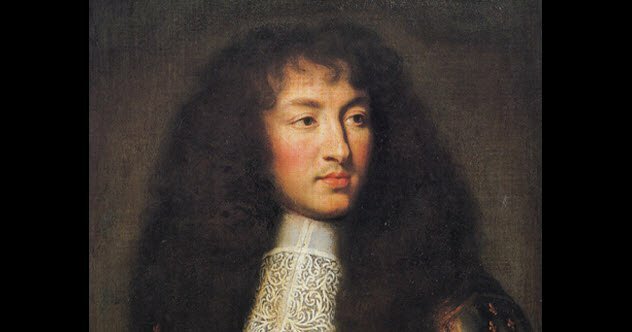 Versailles was built or rather rebuilt by the Sun King aka Louis XIV from a smaller hunting lodge of his father, Louis XIII, in the small village of Versailles around 1661 and completed in 1682. 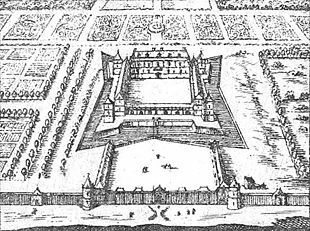 Louis XIV was inspired (by jealousy) to build Versailles after he was invited by his superintendent of finances (Nicolas Fouquet) to his new country home Vaux le Vicomte designed and built by three amazing artisans: Le Vau, Le Brun, and Le Notre. Fouquet came from one of the four wealthiest families in France–the King would go to him to get a loan to finance war against another country–France did not have a national banking system at this time. 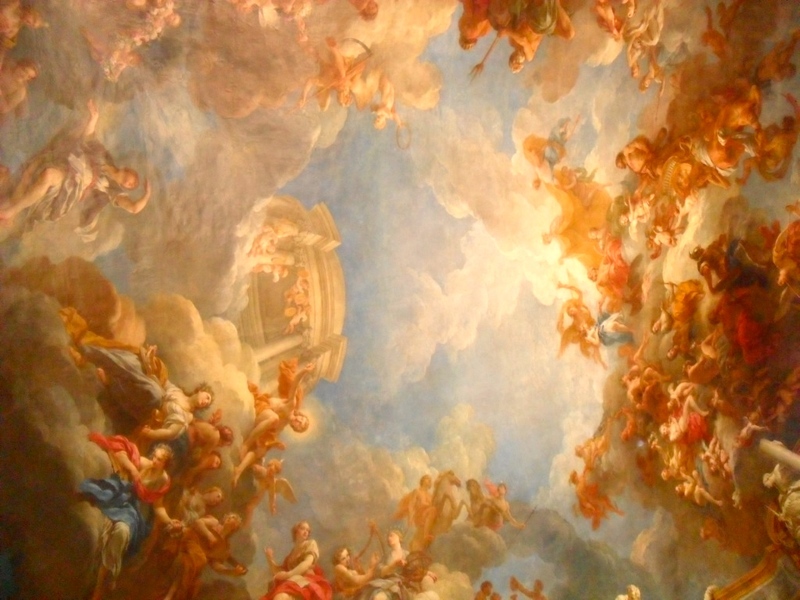 Louis saw the extravagant building (complete with the first domed ceiling in France by a Florentine trained architect) and Italian gardens and he believed Fouquet misappropriated France’s money. So on charges of treason (widely believed to be trumped up by Louis himself), Fouquet was arrested and exiled from France. 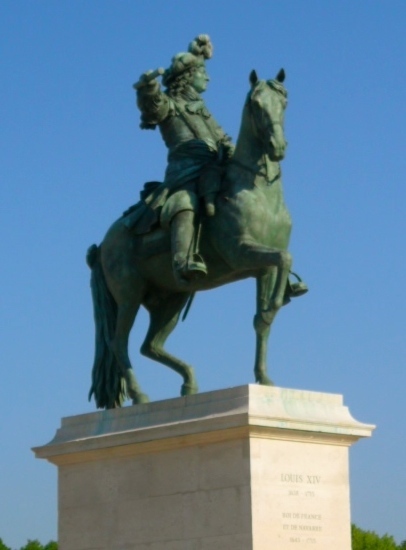 And Louis started building Versailles using the same builders and designers (Le Vau, Le Brun, and Le Notre) and confiscating the furnishings and statuary from Vaux le Vicomte for use at Versailles. Walking to the front gates from the train station. 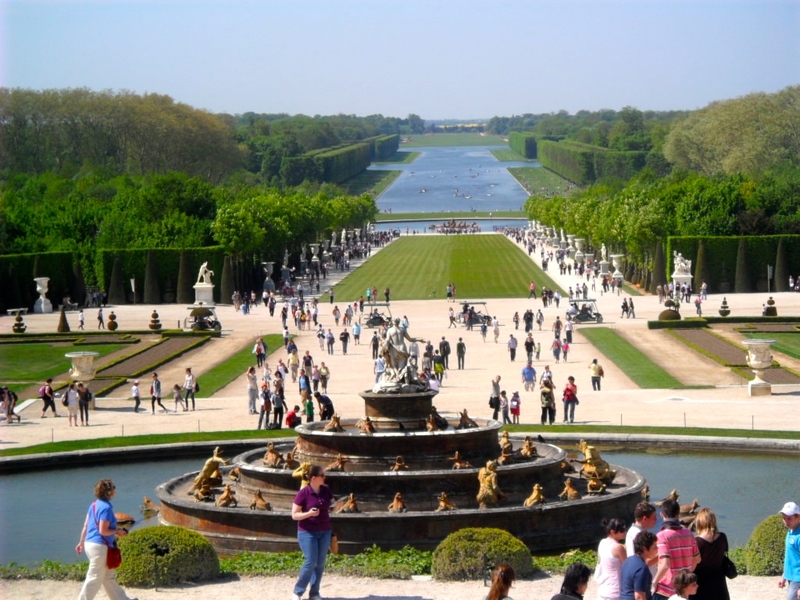 I’ve been lucky enough to visit Paris three times and Versailles twice. The first time I saw Versailles, it was 1989 and I was a 15 y/o on a school trip during Easter week that was a whirlwind tour through Paris, Nimes, Nice, Monaco, and Geneva. 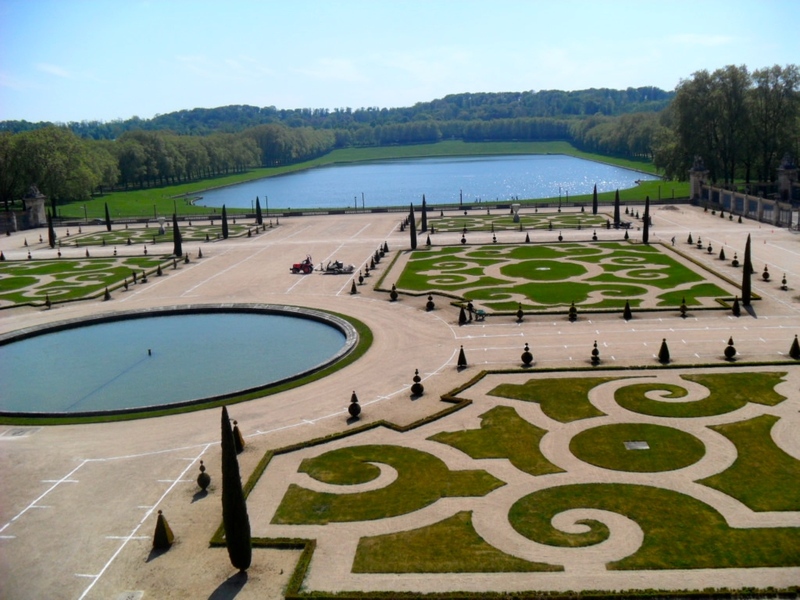 Versailles was scheduled as an early morning visit–I remember the cold, gray light of the very early morning when we disembarked the bus to see different parts of the estate and gardens before going inside for a tour of the chateau. We peeked through the windows of the Grand Trianon and Petit Trianon homes which were used for storage and not open to the public. We also visited the hamlet that Marie Antoinette played shepherdess in. The first visit I was awestruck by the grandeur, especially as it was my first time seeing such sights. I’ve never been to Europe let alone a palace. My french teacher, Madame Nystrom, prepared us well for the historical sights we were going to encounter–her French classes not only included French vocabulary and grammar, but an immersion in French food, history, and culture during her class period. She was obsessed with the Revolutionary-Napoleonic eras of French history so we actually knew quite a bit. 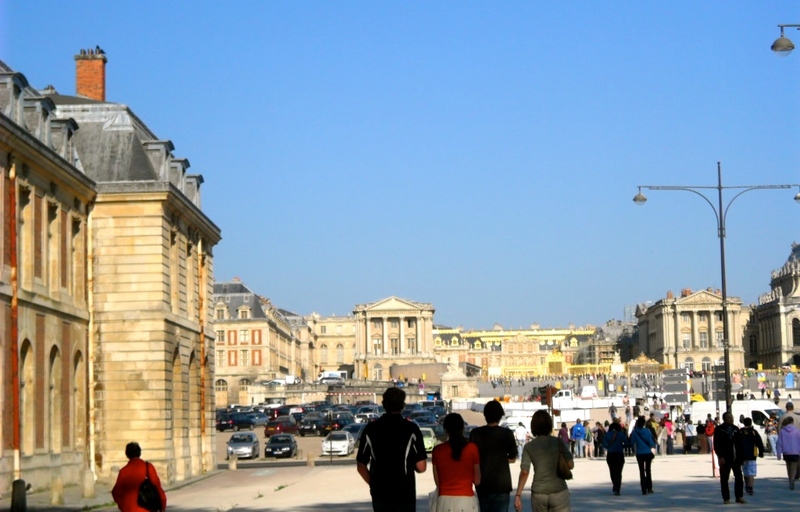 The second time I visited Versailles it was close to 20-25 years after the first time I visited Paris. I was embarking on my first solo trip to a non-English speaking country to see how I would survive. It was a test for my solo traveling self. Of course, I chose a non-English speaking country with an official language I studied previously and a country I previously visited albeit with a large tour group. So I digress–sorry for the walk, or marathon rather, down memory lane. Map of estate–this is just the main house–none of the hundreds of outbuildings, hamlet, home farm, and plus two summerhouses (Le Grand Trianon & Le Petit Trianon) are pictured here. 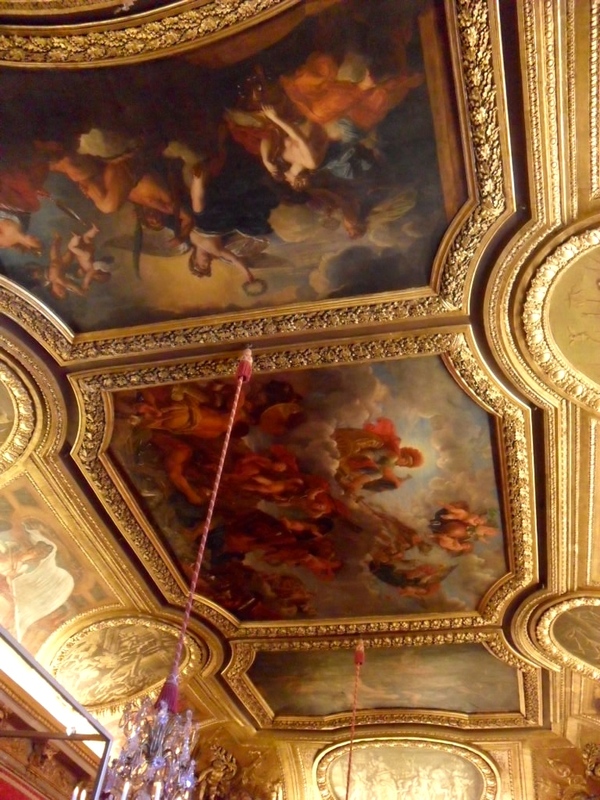 When I revisited Paris, I purchased a Paris Pass that included a free skip the line ticket (€20) to Versailles. Part of my process when determining if purchasing the city tourist pass is listing what I want to see and cross referencing it with the free or discounted entry fees to see if it’s worth the investment. Truthfully, the pass was worth it alone for saving me a 4 hour ( at minimum) wait at the Louvre (throughout the Rue de Richelieu entrance) and the free Versailles ticket. I wasn’t sure how to get to Versailles because everything I saw were group tours for €60 that included transportation from Paris and entrance to Versailles. 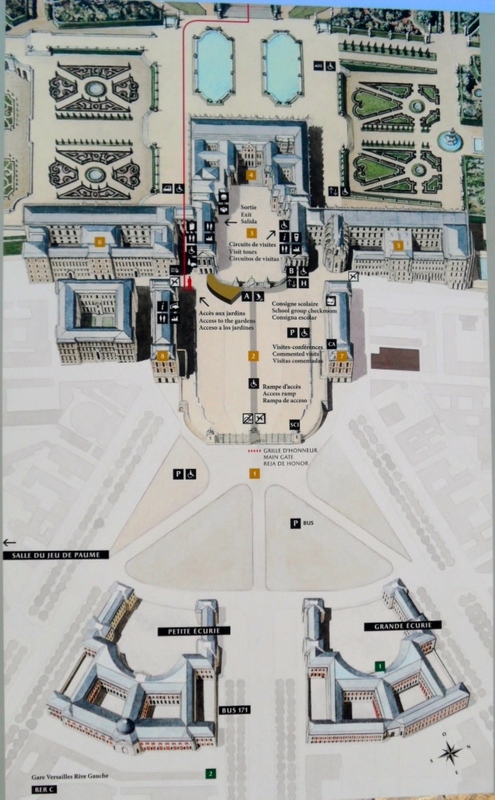 In my research, I stumbled upon a blog that a man wrote explaining step by step of how to get to Versailles using the RER C train station by the Eiffel tower and walking to Versailles from the train station (Versailles Rive Gauche). So I spent €6 for a round trip RER rail ticket to Paris-Versailles and nothing else because I used my Paris Pass for my entrance. It was literally two blocks from the train station–just follow the crowds. Outside of the gates are the original stables, then the large car park, and finally a trailer (not sure if that’s permanent) as a ticket booth/security check. I remember turning the corner and stopping a moment because I couldn’t believe I was standing so close to the palace from train station. I made it there before opening hours. I filed into the Paris Pass line and 20 minutes later, I was inside. The chateau fills up quickly and the crowds were deep and swift moving. It made it hard to really enjoy the chateau. I read on a travel question/answer blog a suggestion of touring the gardens first and going into the palace around 3pm when the crowds have dispersed (next time, I guess). 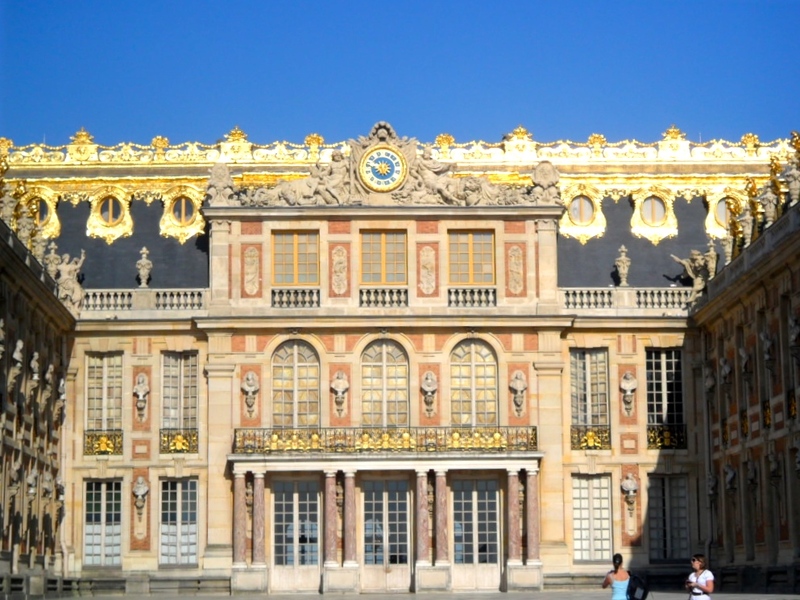 King Louis XIV’s original bedroom faced the front courtyard and it was located dead center of the main building. The Hall of Mirrors was added in the back facing the gardens. 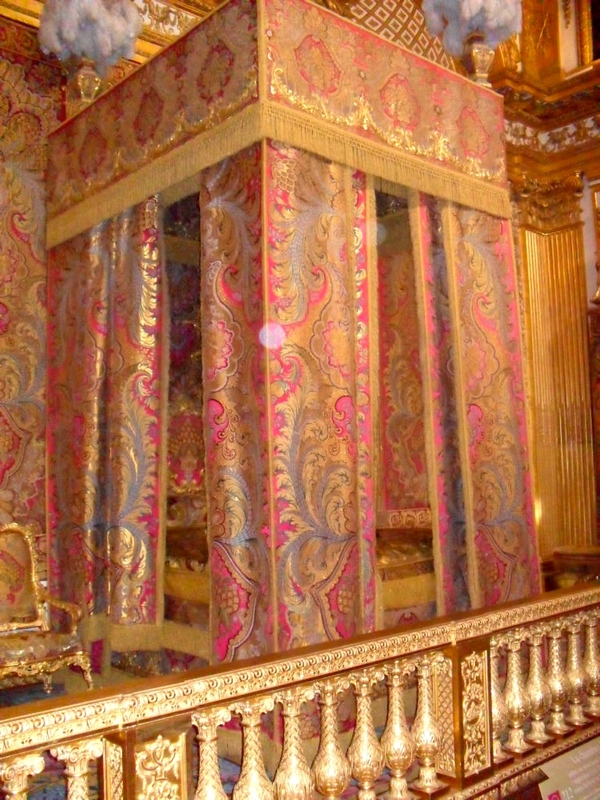 Louis XIV used it as a passage to and from his bedroom. 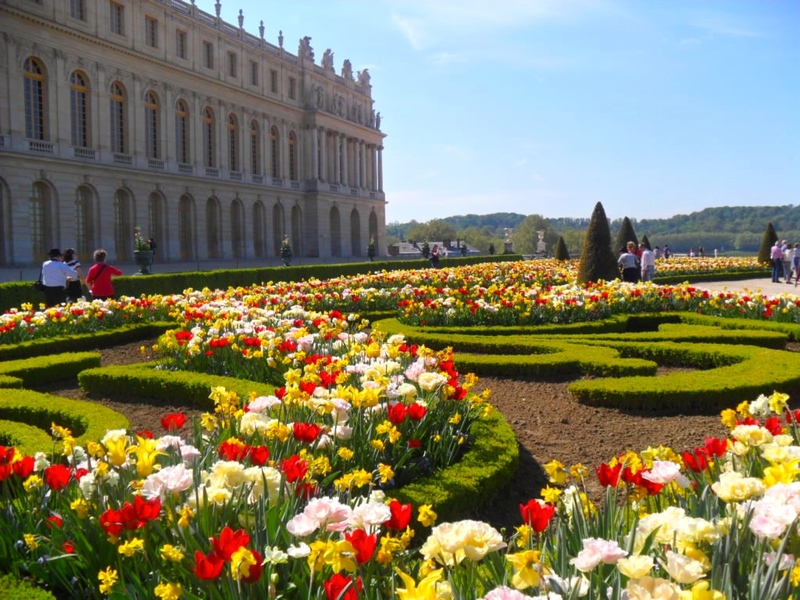 I took the little hop on/ hop off trolley train (maybe €1-2) to get around the estate–the Grand Trianon and Petit Trianon. Both buildings are now open and I really loved going through them–less people venture there and you can really enjoy the tour. Versailles is still a working farm and it provides all the restaurants on the estate with the produce, dairy products, and probably meat products. I was in France in April which should have pleasant, but cool weather; however, it was a heat wave–everyday spiked temperatures over 80–so I enjoyed a fresh squeezed orange juice from the orangery. It was the best orange juice I’ve ever had in my life! I had two–I didn’t care that I paid €2 (almost $4 during that time) for a pixie cup of cold orange juice. On Sundays, the fountains are running and I’ve never seen them in full force. But I hear the crowds are so overwhelming it’s hard to enjoy the visit. Maybe one day, but I rather think I would return to delve more deeply into the gardens and the Grand Canal. They have golf carts you can rent–that might be fun to get around in. 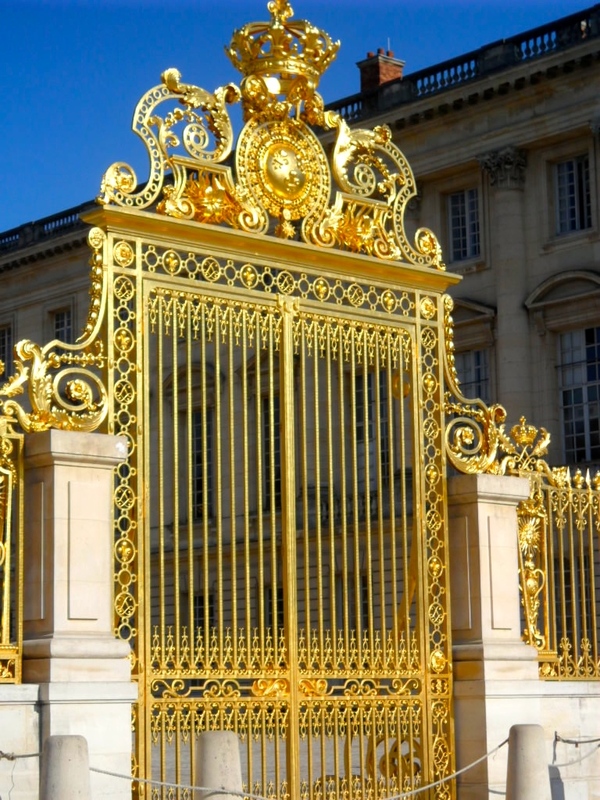 So Versailles is a royal crib that is worth visiting. 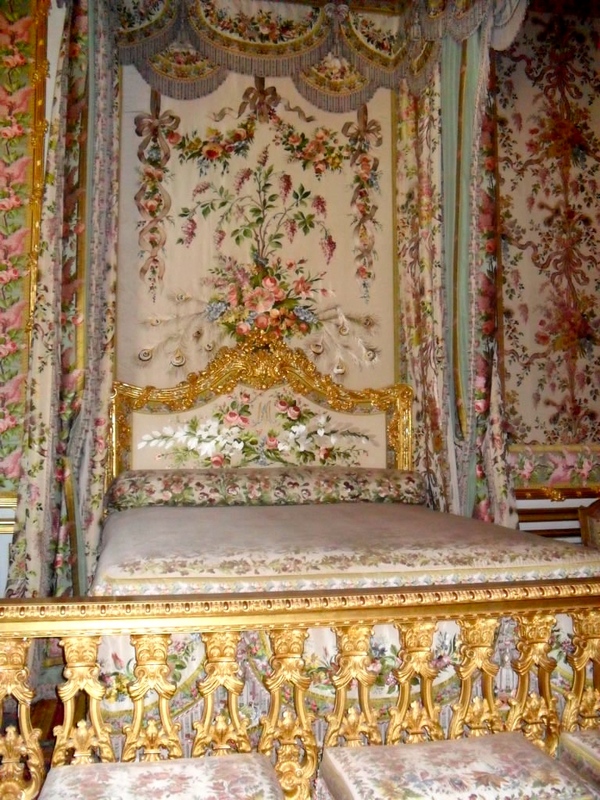 For more information visit http://en.chateauversailles.fr/homepage.